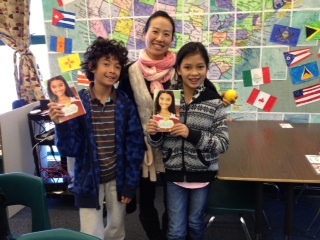 Genie Hwang, 6th grade teacher at Santa Monica Alternative School House (SMASH) and Core 3 students. Thank you SMASH school teachers and librarian Diane Greenseid in Santa Monica for inviting Lola Zola into your classrooms. We enjoyed the Readers Theater and the Q & A with 3rd, 4th, and 5th graders curious about our writing process. (Marcy wrote the first draft of Lola Zola and the Lemonade Crush; Jackie revised it.) 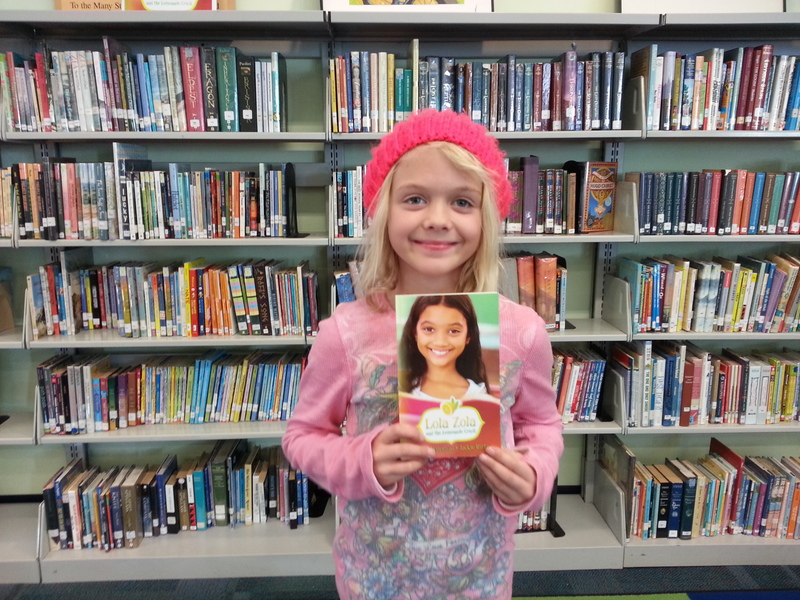 During the mock election for 6th grade Class President, boys playing Buck sauntered down the aisle, passing out glossy campaign literature; girls pretending to be Lola gave heartfelt speeches about eco-quality and justice for all sixth graders. 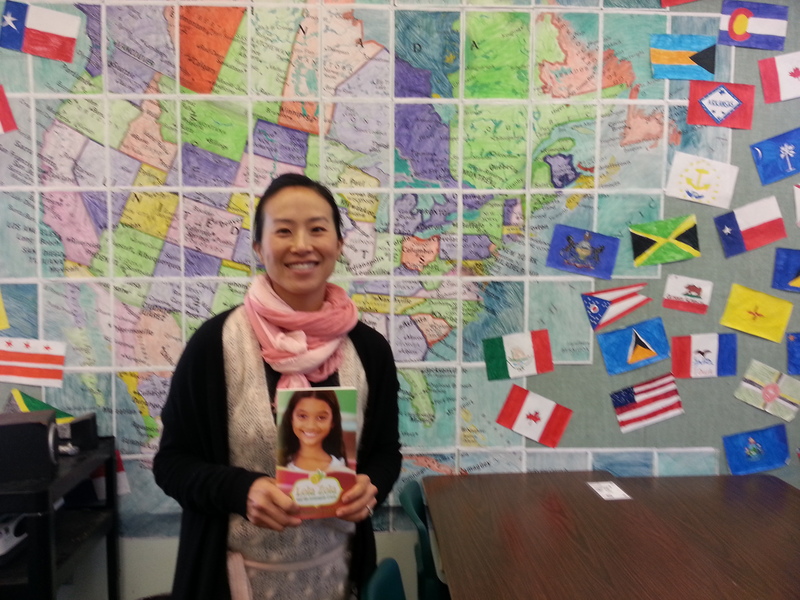 Like a chorus, the students shouted, “LO LA LO LA LO LA!” until teacher Genie Hwang (pictured above) announced they’d have to read the book to find out who wins the class election.